12/12/2017 Apply Now! 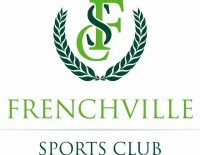 Club & League Development Manager Positions! 20/06/2014 Game For Any Young Ladies! 06/05/2014 Sign Up For Panthers Juniors For FREE! 29/04/2014 Capricornia Under 14 Trials. 03/02/2014 AFL 9's HITS ROCKHAMPTON! 25/03/2013 AFL Industry Day Comes To Town. 19/02/2013 High School footy is back! 06/10/2014 2014 Under 17's Capricornia Cobras Squad is announced. 11/10/2013 Bullets Win Their First Premiership. 11/10/2013 BITS Saints add to Grand FInal Haul. 22/04/2010 ROUND 3 PREVIEW . . .
16/04/2010 ROUND 1 WRAP . . .
13/03/2009 Round 2 of the Brisbane Lions Cup sees Mt Morgan enter the Brisbane Lions cup for the first time. 05/03/2009 The Brisbane Lions cup started with a goal spree from St Brendan's. 31/08/2010 ROUND 15 WRAP . . .
31/08/2010 ROUND 15 PREVIEW . . .
31/08/2010 ROUND 14 WRAP . . .
31/08/2010 ROUND 14 PREVIEW . . .
31/08/2010 ROUND 13 WRAP . . .
31/08/2010 ROUND 13 PREVIEW . . .
31/08/2010 ROUND 12 WRAP . . .
08/04/2010 ROUND 1 THIS WEEKEND . . .
14/07/2010 ROUND 12 PREVIEW . . .
30/08/2007 AFL Capricornia's Best and Fariest rewarded! 12/07/2010 ROUND 11 WRAP . 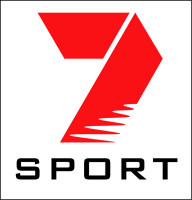 . .
16/08/2007 Grand Final spots on the line! 31/08/2010 ROUND 11 PREVIEW . . .
30/06/2010 ROUND 10 WRAP . . .
31/08/2010 AFL CAPRICORNIA GRAND FINAL PREVIEW . 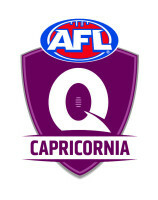 . .
09/07/2007 AFL Capricornia go back to back to back! 31/08/2010 PRELIMINARY FINAL WRAP . . .
31/08/2010 ROUND 9 WRAP . . .
31/08/2010 PRELIMINARY FINAL PREVIEW . . .
17/06/2010 ROUND 9 PREVIEW . . .
08/06/2010 ROUND 8 WRAP . . .
31/08/2010 2nd SEMI FINAL WRAP . . .
31/08/2010 2nd SEMI FINAL PREVIEW . . .
04/06/2010 ROUND 8 PREVIEW . . .
02/06/2010 ROUND 7 WRAP . . .
31/08/2010 1st SEMI FINAL WRAP . . .
31/08/2010 1st SEMI FINAL PREVIEW . . .
26/05/2010 ROUND 7 PREVIEW . . .
26/05/2010 ROUND 6 WRAP . . .
26/05/2010 ROUND 6 PREVIEW . . .
26/05/2010 ROUND 5 WRAP . . .
13/05/2010 ROUND 5 PREVIEW . . .
10/05/2010 ROUND 4 WRAP . . .
10/05/2010 ROUND 4 PREVIEW . . .
27/04/2010 ROUND 3 WRAP . . .
30/05/2008 Urquhart To Make AFL Debut! 20/04/2010 ROUND 2 WRAP . . .
16/04/2010 ROUND 2 PREVIEW . . .
08/04/2010 SENIOR REPRESENTATIVE SIDE TRAINING NEXT WEEK . . .
30/03/2007 Whats happened in the AFL this week?